At Lindenwood, many students are glued to the screen and cheering for their own countries throughout the games. On June 12, World Cup opening day, students were able to watch the game in Evans Commons on a big screen. Ramon Molina, from Venezuela, watched Brazil and Croatia’s match at Evans with other friends. Students watch the opening World Cup game- Brazil vs. Croatia. 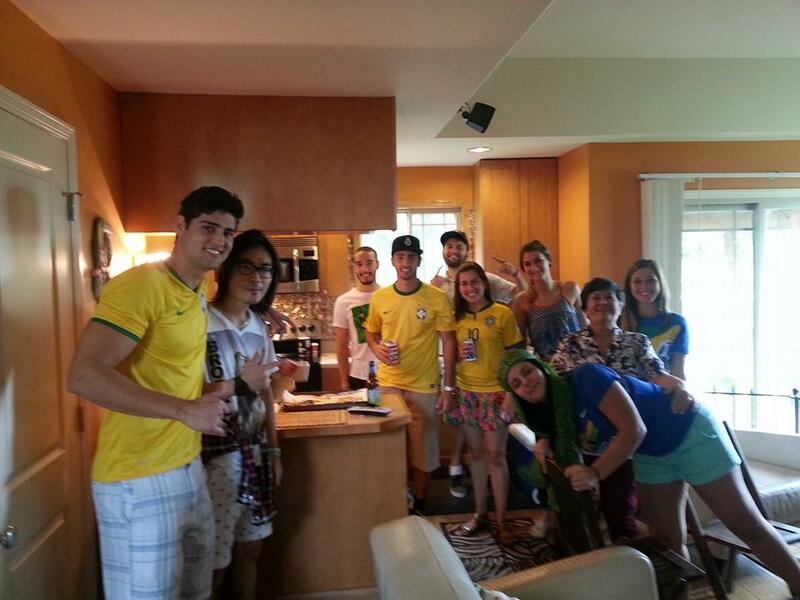 Brazilian students who couldn’t go home to Brazil get together to watch the matches in St. Charles. 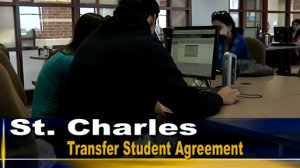 The students have parties at home with traditional Brazilian food and watch the game through online streaming, or go to Tucanos Brazilian Grill. Student Fernanda Mariani, from Brazil, hopes to see Brazil in the final. “Before I was going to say Spain [would win]. But after that embarrassing match against the Netherlands, I hope to see Holland win. Even USA would be cool to watch, too,” Mariani said. As of June 18, Spain, the defending champion, was eliminated from the World Cup after losing two of their three games. Vivian Morgado, another student from Lindenwood, made bets with her friends on which teams are going to be in the final match. “Brazil and Argentina for sure. It’s going to be South America this time,” Morgado said. Even though many Brazilians are cheering for Brazil, if Brazil isn’t able to advance to the final, most of the students want to see a South American team win. However, Brazilians are not the only ones interested in the matches’ results. Japanese students Hiroka Ono and Sanami Iwasaki got together with other Japanese students to watch Japan play last Saturday. “It’s exciting to get together with people from your country to watch the games,” Ono said. When Japan lost to Cote d’Ivore, Iwasaki said that she couldn’t hide her disappointment. Click here to see the scores from the previous matches. 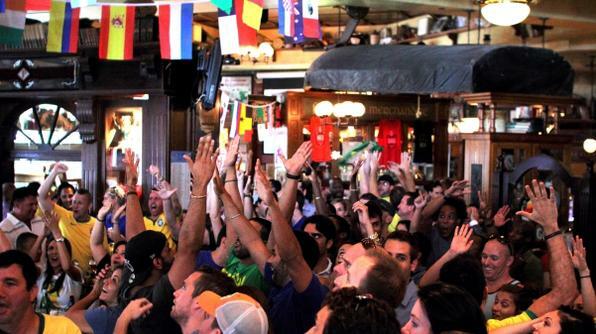 June 19: Colombia vs. Cote d’Ivoire @ 11 a.m. | Uruguay vs. England @ 2 p.m. | Japan vs. Greece @ 5 p.m.
June 20: Italy vs. Costa Rica @ 11 a.m. | Switzerland vs. France @ 2 p.m. | Honduras vs. Ecuador @5 p.m.
June 21: Argentina vs. Iran @ 11 a.m. | Germany vs. Ghana @ 2 p.m. | Nigeria vs. Bosnia and Herzegovina @ 5 p.m.
June 22: Belgium vs. Russia @ 11 a.m. | Korea Republic vs. Algeria @ 2 p.m. | USA vs. Portugal @ 5 p.m.
Lindenwood and St. Charles Community College will partner up to help transfer students continue their education.